As part of Roosevelt’s New Deal program of the 1930s, the Works Progress Administration (WPA) provided relief jobs to millions of Americans. One facet of the WPA was the hiring of men and women to document the history and folklore of America so as to capture the “soul” of the nation. 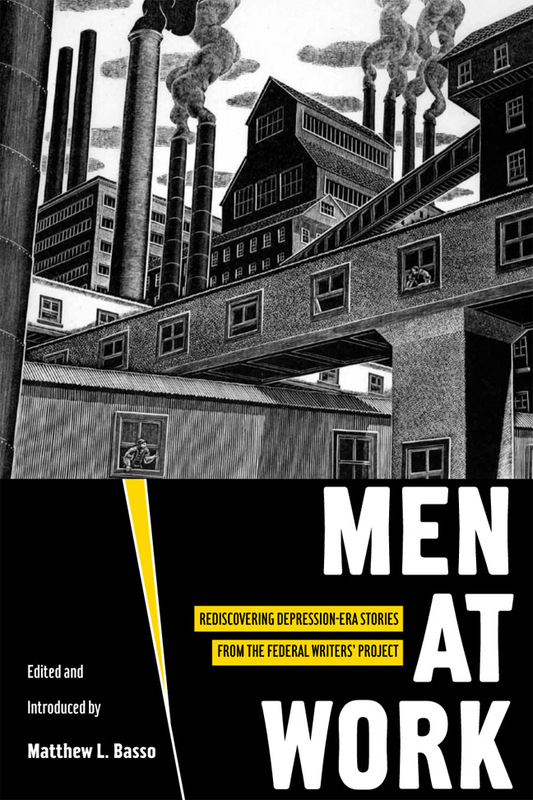 While researching at the Montana Historical Society Research Center more than a decade ago, historian Matthew Basso stumbled upon copies of six stories that had been submitted for inclusion in a volume titled Men at Work.They arrived too late to be considered. Federal Writers’ Project (FWP) staff had already chosen thirty-four stories from submissions across the country and the volume was nearing publication. In the end, however, that publication was waylaid by the eruption of World War II and the manuscript was forgotten. Now, Basso is bringing these rediscovered stories to their intended audience—the American people. Works of fiction that have a creative nonfiction feel, these narratives stem from direct observation of or participation in the work described and offer portraits of Americans from diverse ethnic backgrounds who labored in jobs as varied as logging, mining, fruit packing, and rodeo riding. The writers, directed by editor Harold Rosenberg, also represent a variety of backgrounds and experience. Some, like Jack Conroy, Jim Thompson, and Chester Himes, became strong voices in the literary world. The vivid accounts in Men at Work illuminate the meaning of work during a time when jobs were scarce and manual labor highly valued. With our country once again in financial crisis and workers facing an anemic job market, today’s readers will find these stories especially poignant. Matthew Basso is an assistant professor of history and gender studies, and director of the American West Center at the University of Utah. He is a coeditor of Across the Great Divide: Cultures of Manhood in the American West.